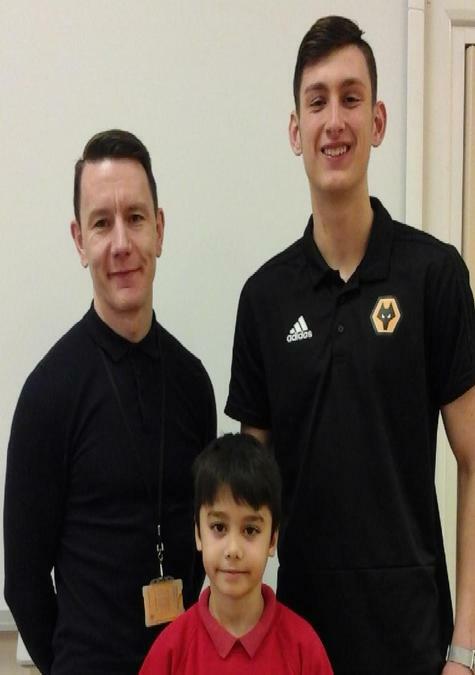 On Wednesday February 13th David Cook, Wolverhampton Wanderer's Under 18 Education Manager and recently signed footballer Jackson Smith visited school. They were here to present Marvin with the Premier League Young Academy Writer of the Year Age Group Winner Award. Marvin had written about his own footballing successes and hurdles and his determination and achievements. The children enjoyed hearing Jackson read Marvin's story and seeing him receiving his award along with a signed copy of Dan Freeman's new book.